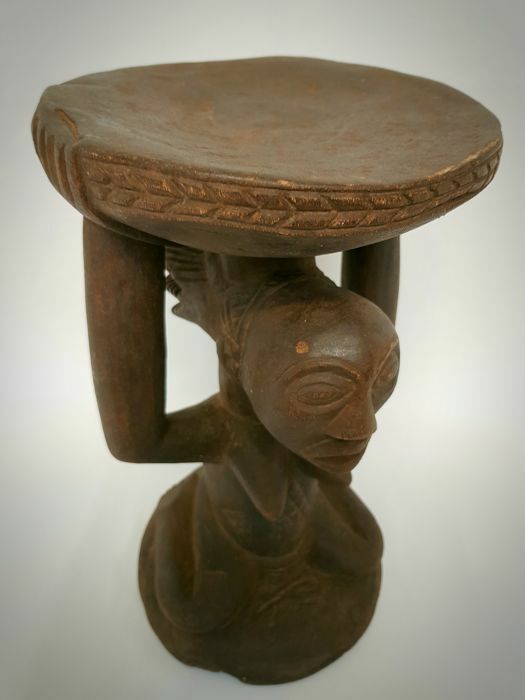 In many cultures throughout the southeastern region of the Democratic Republic of Congo the seats of leaders are important symbols of power and authority. 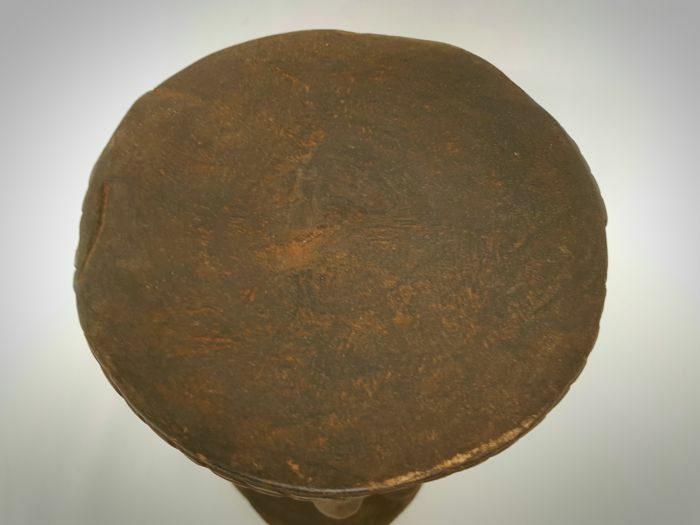 The main function of the stool was not to serve as a seat, but rather as a receptacle for the chief's spirit. 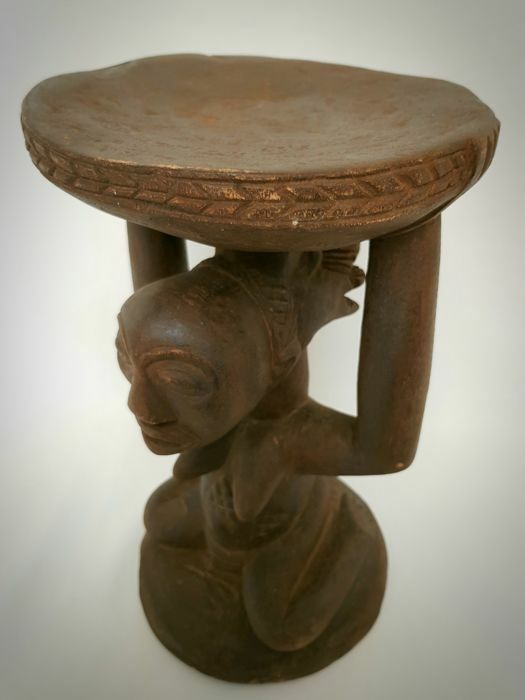 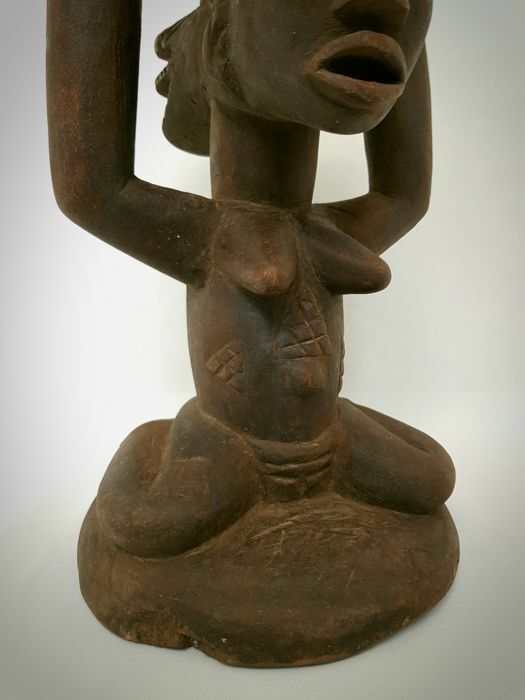 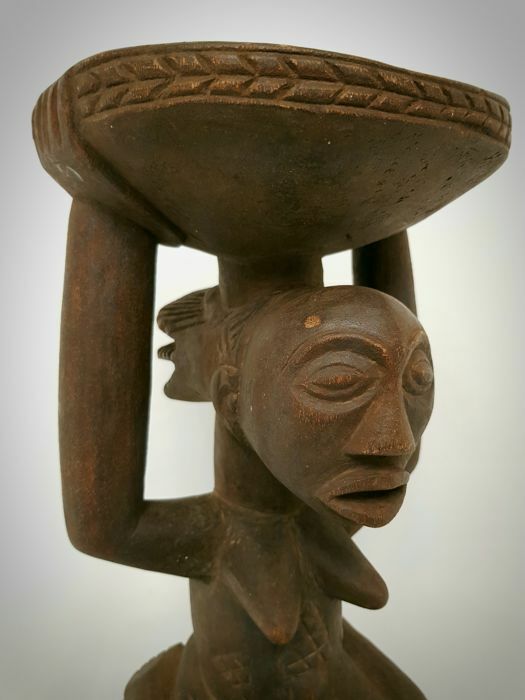 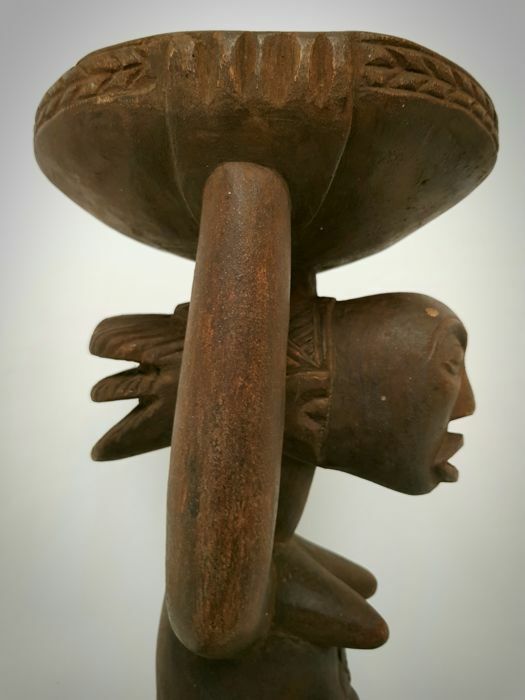 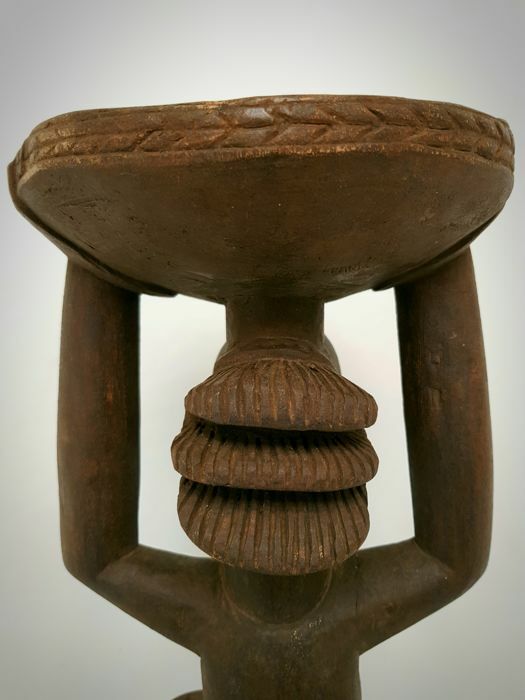 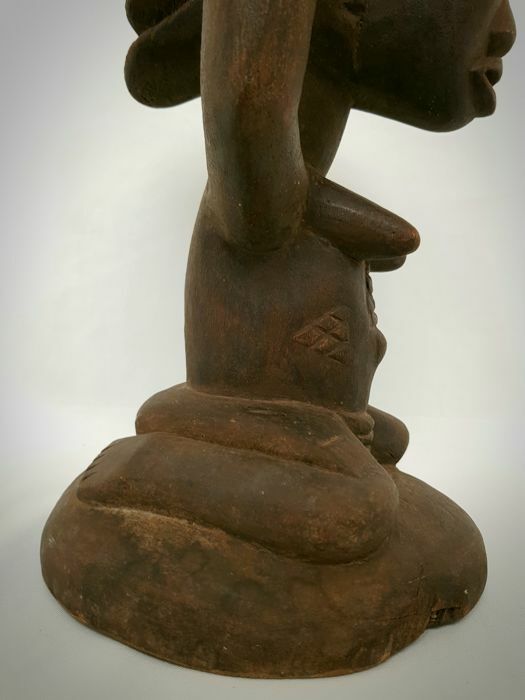 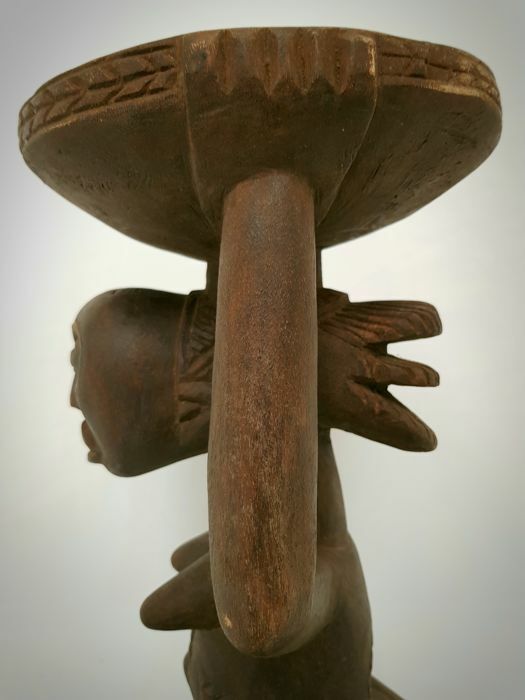 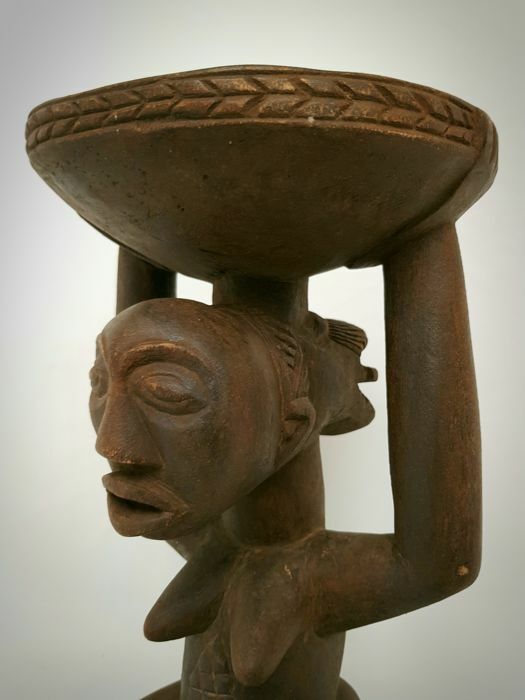 The seat of this royal LUBA stool is supported by a standing female figure who balance it on their head and the tips of her elongated fingers. 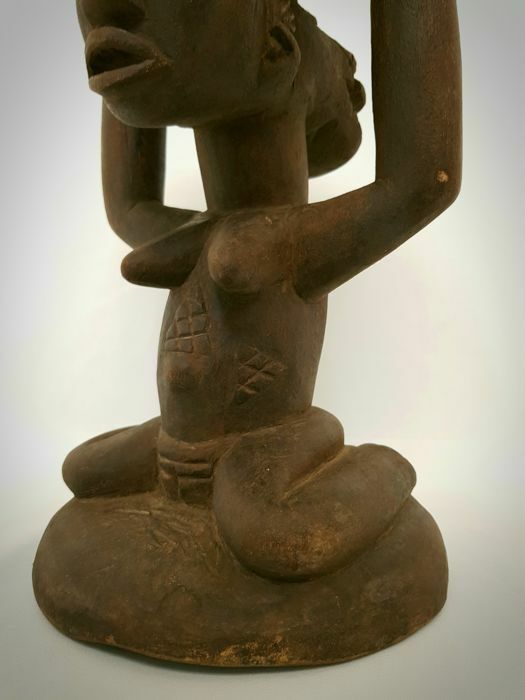 The body is detailed with elaborate scarification markings on the stomach and abdomen that enhanced ones body as signs of beauty and civilization. 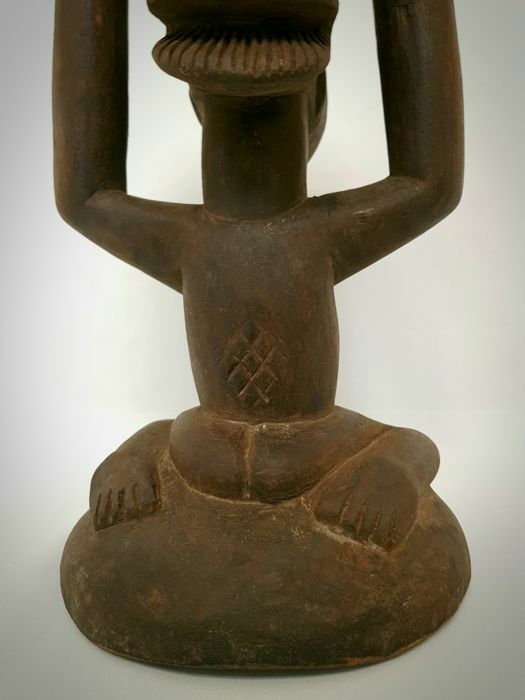 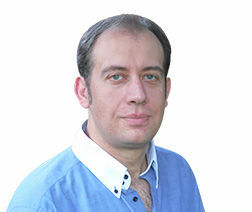 Considered the age, overall condition good condition with a well stylized coiffure.